Spacious updated Colonial in popular Tacoma Hills Sub! Enjoy the swimming pool from the tiered deck, patio and pergola. Updates include newer roof, windows, gutters, some newer flooring inside, remodeled Kitchen, furnace, central air, water heater, radon system and much more. Living Room has neutral carpeting and new sunny bay window. Dining Room features a hardwood floor and wainscoting. 2015 Cherry/Granite Kitchen has composite laminate flooring, and recessed lighting. The Family Room has an oak floor, and newer gas insert fireplace with brick surround. Quiet Master Bedroom Suite with private bath, plus 3 additional bedrooms and bath on the second floor. Finished Lower Level with an Office and Rec Room. 2 car att Garage with opener. 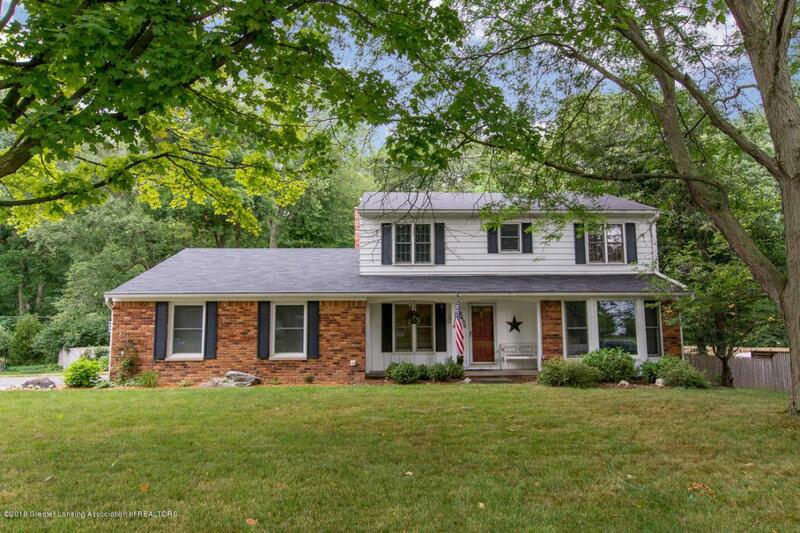 Listing provided courtesy of Jeff Thornton of Coldwell Banker Hubbell Briarwood-Okemos.